Joe and Lauren Grimm brew test batches in their kitchen. Joe and Lauren Grimm brew the beers they want to drink. That might sound obvious for any brewer, but most big breweries are often forced to make the beers that everyone else wants in order to support their costs, to meet consumer demand, or to compete. “I wouldn’t want to make something that I wouldn’t want to drink,” says Joe, who explains that being a “gypsy brewer”—one that rents space from a larger brewery in order to mass produce their product—affords them the freedom to make the beer they want. 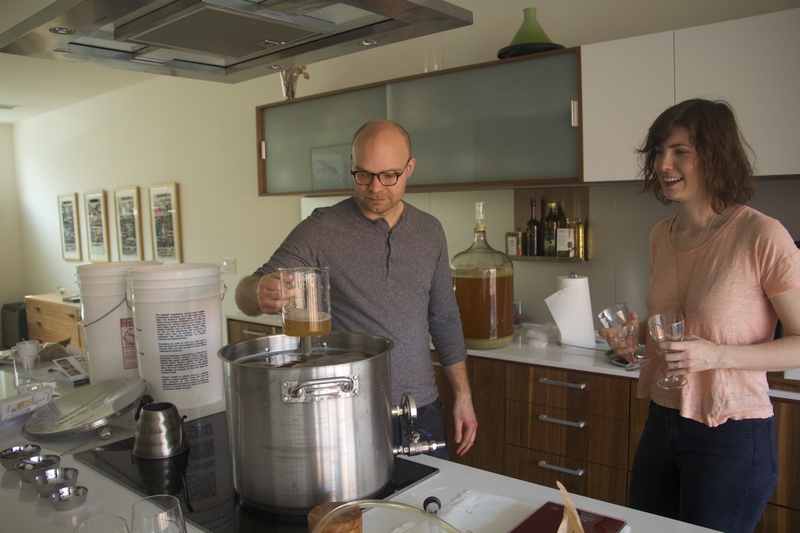 The couple started home brewing in 2006 in their kitchen. Today that’s still their test laboratory, where they decide which beers they want to make in larger batches. “We make a lot of beers that we drink, just give away to friends, or throw out,” says Lauren. We met Joe and Lauren at the 2014 NYC Craft Beer Festival, where they were serving Golden Hour—a super drinkable and refreshing saison brewed with spelt—and Cassiopeia—an Imperial Porter that’s rich in coffee flavors from a blend of different roasted malts. Their beers were a standout amongst the many other “big time” craft brewers in attendance. 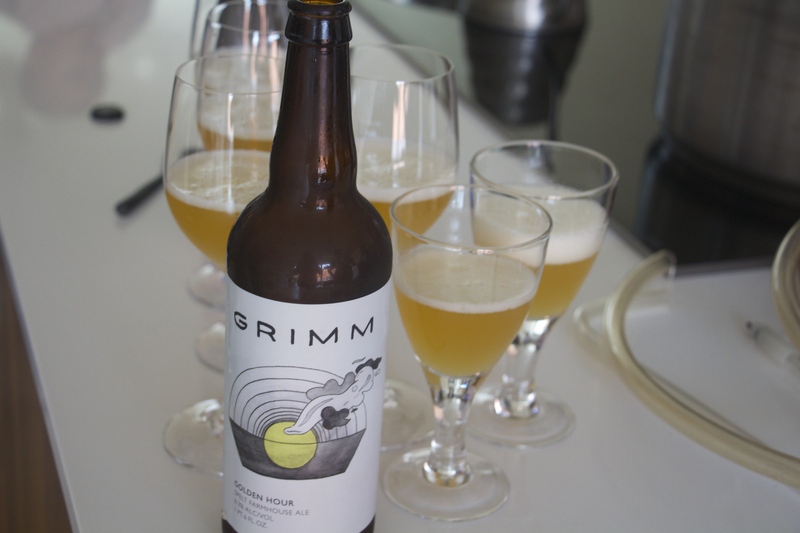 A couple weeks later we visited the Grimms’ apartment in Gowanus, Brooklyn, where they were experimenting with a smoked saison. In this case, they had three different batches with different varieties of smoked malt going at the same time. The couple tinkers with multiple versions of the same beer before they’re happy with one they might actually consider making on a larger scale. And that’s a simple explanation of their process, because, for a gypsy brewer, the development of a single beer from conception to distribution is far from simple. It’s not like anyone can just show up at the front door of a brewery and ask to brew. “It’s really hard to get in at a brewery to gypsy brew,” says Lauren, “A lot of breweries don’t want you throwing whatever you want into their equipment, like fruit or wild yeasts.” It took the couple about six months to find a brewery that would let them brew how they wanted. 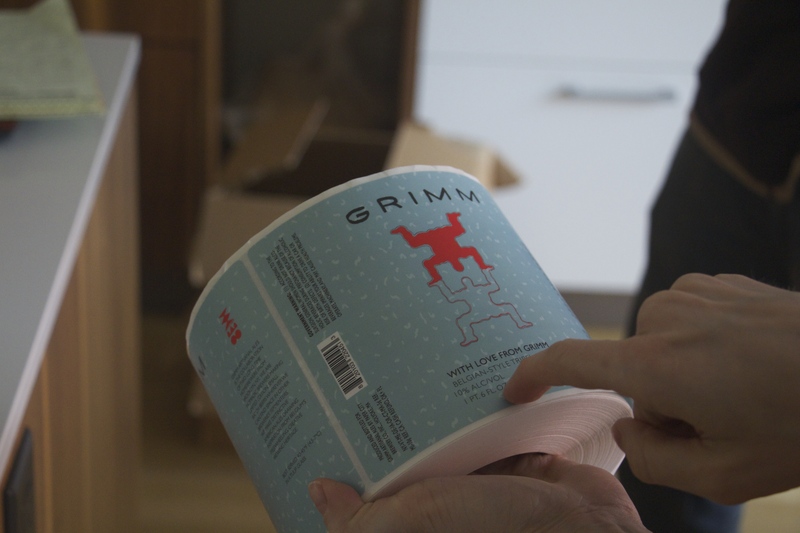 In July 2013, the duo started brewing at Paper City, a small brewery in Holyoke, Massachusetts. They travel there once a month to make 20 barrels (about 600 gallons) of beer that they bottle and keg. And while relying on another brewery to make their beer might seem limiting, it actually allows the couple the freedom to make the beers they want to drink. Joe says they saw what happened to some breweries—like Barrier Brewing Co. in Oceanside, New York—in the wake of Superstorm Sandy, and it made them grateful for their current situation. This way the two are able to focus on the one-off batches of beer that they like, without the headaches that conventional breweries face. For now Grimm is figuring out inventive ways to work around limitations with help from some local friends. The two are experimenting with aging beer in wine barrels. Red Hook Winery, in Red Hook, Brooklyn, is helping to swell the barrel (a process where the wood is soaked with water to make sure the wood joints are tight to prevent leakage and spoilage issues). 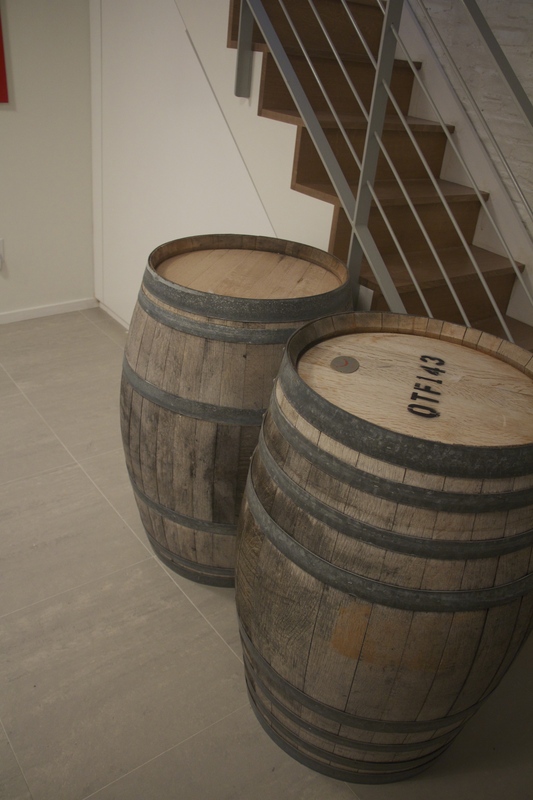 But first they “contracted” some free manual labor from the Where’s The Beer NY team to help carry the barrels from the Grimms’ basement to Joe’s car! April 2, 2014, 5:00 p.m. I love their beer!!! I used to drink only wine. 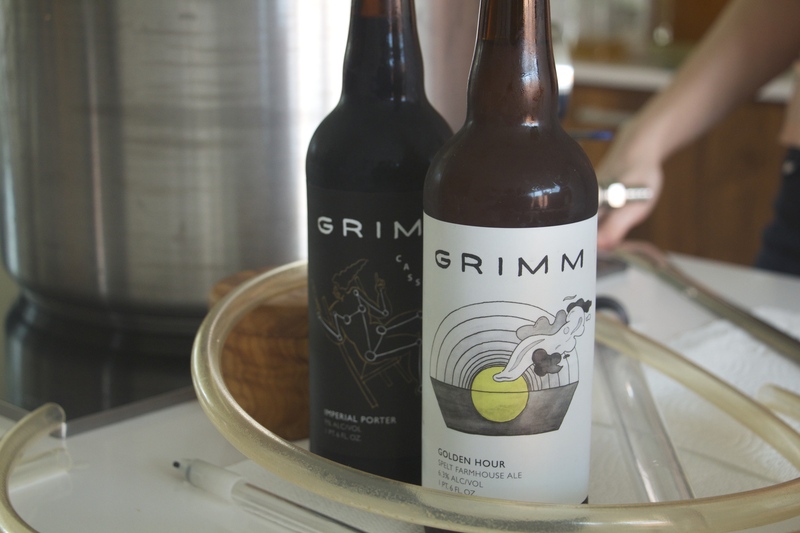 But drinking “Grimm” takes artisanal beer to the highest level.